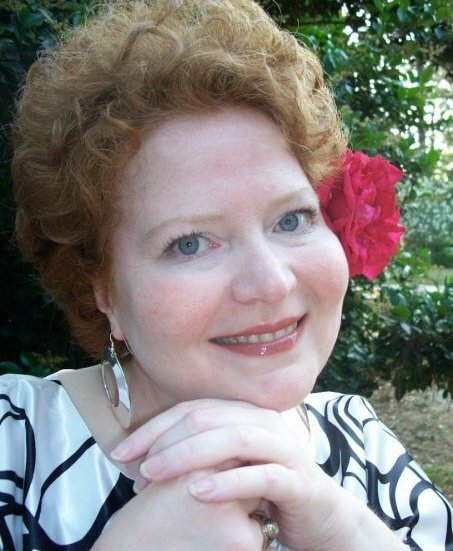 Another blog tour, thanks to AToMR Blog Tours! Make sure you check out the rest of the tour stops after you read mine by clicking here. 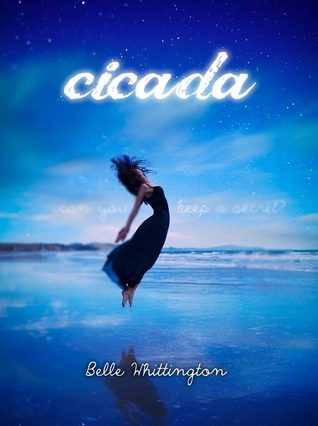 Cicada (Cicada, #1) by Belle Whittington. Publication : September 13th, 2011. The adults were huddled closely together, talking low with expressions of worry and confusion etched on their faces. “What’s going on over there?” David nodded his head toward the group of whispering parents. Grandpa stopped speaking for a moment and glanced our way, the light from the fire twinkled in his eyes and caused his bushy brows to cast an almost evil shadow on his forehead. I didn’t have the chance. Grandpa motioned with a small flick of his hand to indicate that he wanted us all to come over and listen to what he was saying. I followed the rest, with my hands tucked into my back pockets, over to stand by Grandpa. “Andrew, Blair, y’all been out in the back pasture recently besides today?” Grandpa was still sitting with his elbows on his knees, his glasses perched on his nose, and those evil-looking shadows on his forehead. “No, sir,” we answered in unison. “Hmph,” he looked back down at the fire and then across the flames towards the other adults. Mom and Grandma had faint looks of alarm on their faces. Everett’s dad, Mr. Forster, an older version of his son, looked perplexed and glanced to his right at David’s burly dad and cute, blonde mom. Mr. and Mrs. Hargrave looked exactly the way you would think they should. David got his brawn from his dad and his looks from his Mom. “What is it, Grandpa? Who’s done what?” My curiosity got the best of me. Grandpa was my safe harbor. I never had to hide in the shadows when he was around. I never had to stand behind my own uncertainty. He was the one person who fully understood me. Grandpa glanced at me and then up to Andrew’s wary brown eyes. “There’s one of them crop circles out in the back forty.” His eyes held Andrew’s gaze in a way that made it look as if they were communicating without words. “Where? What part of the back pasture?” Andrew’s voice was lower now, almost like he could sense the growing dread deep inside me. Grandpa’s eyes flickered back to mine. “Out near the little wood that Blair claims is haunted.” He looked back down into the burning embers of the fire, and I noticed an uncomfortable shift among the adults. “I was out in the barn late the other night, checking on the horses …” his gaze remained trained on the embers. “I heard what sounded like a helicopter out in the back pastures. When I went out back of the barn, I saw what looked like a helicopter circling Blair’s haunted wood … shining a spotlight out there.” He tossed a stick into the flames and glanced around at the other adults. They were sitting stone still, their eyes still on Grandpa. “I went back to the house to get my shotgun. When I came back out it was gone.” He shook his head. “I have no idea what it was. When I rode back out there yesterday morning, there was that crop circle. I don’t know what to make of it.” His voice trailed off. There're two giveaways, one is for an e-book copy of Cicada which is going on tour long and there're twelve copies to giveaway. Second giveaway is an electronic firefly in honor of the release of the sequel to Cicada; Firefly but this one's US only. If you're wondering what an electronic Firefly is, you can check out the video here, it's really pretty so make sure you enter the giveaway(s)! I love a good YA Paranormal book and this sounds like another one to add to my TBR pile. Thanks for sharing!